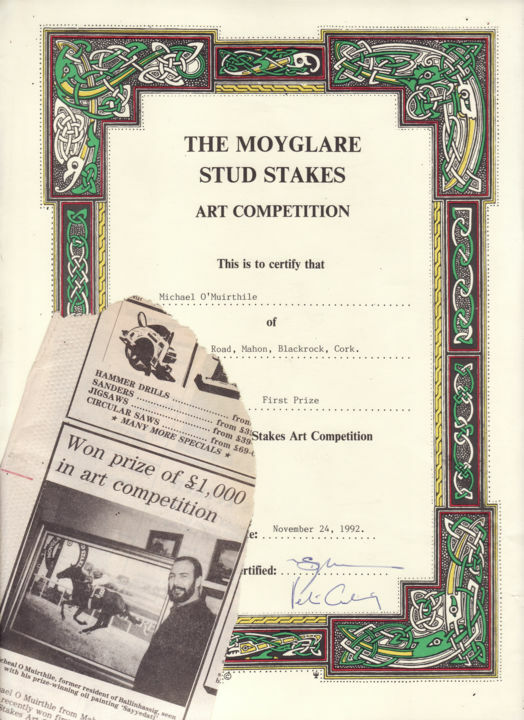 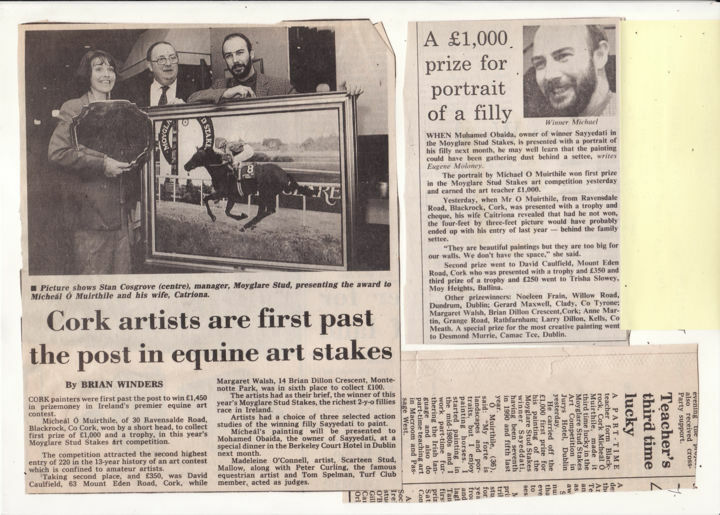 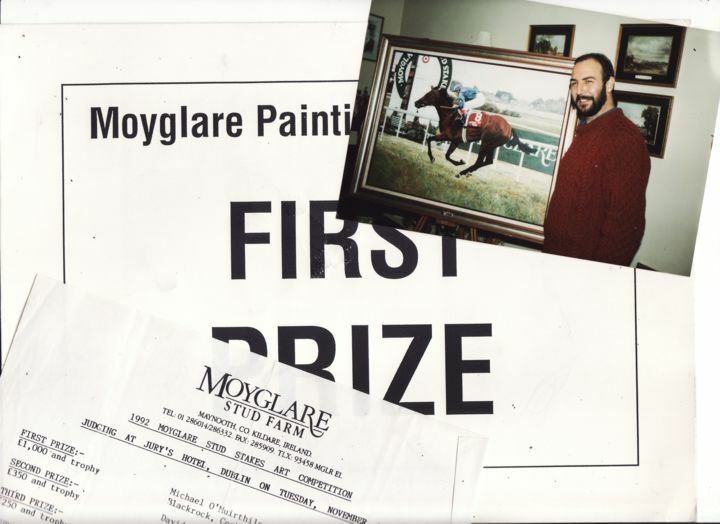 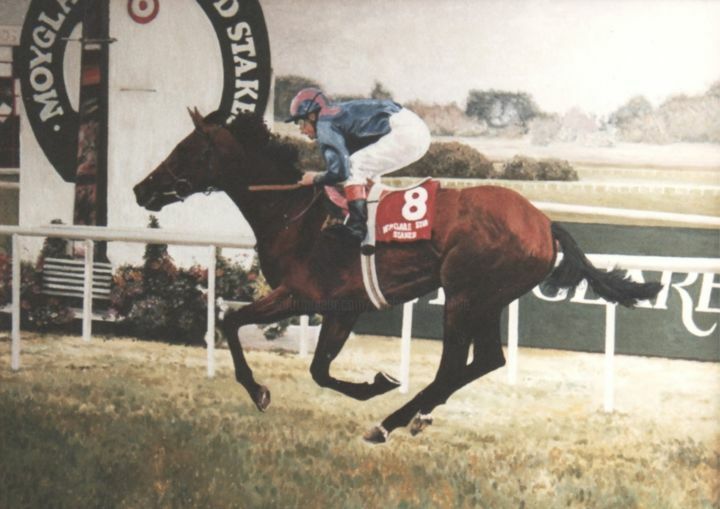 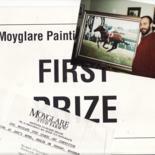 'Sayyedati' - This was a prize-winning oil on canvas that I undertook in 1992 that went on to claim first prize in the famous Moyglare Studs Stakes Art Competition. 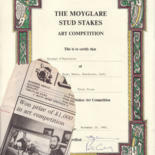 I had taken first prize in Munster the previous two years and had finally achieved top prize in Ireland on my third attempt. 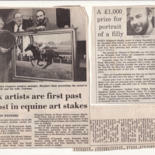 The original framed piece was presented to the owner, Mohamed Obaida, at a gala dinner at the Berkley Court Hotel in Dublin where I was presented with a cheque for £1,000 and a silver salver valued at £100.